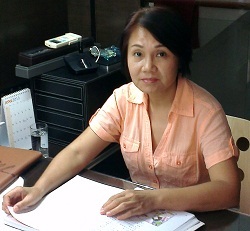 Zhang Li has been a Chinese tutor in Singapore for more than 10 years. She teaches Chinese and Higher Chinese at Primary, Secondary Junior College and International Baccalaureate (IB) levels. Zhang Li was born in Tianjin (天津), China. She obtained the Bachelor Of Chemical Engineering from Tianjin University (天津大学) and worked in the Chemical industry for a short period. With her interest and passion in Chinese culture and literature, she soon decided to move away from engineering career. In 1996 Zhang Li obtained Bachelor Of Chinese Language And Literature (汉语言文学本科) from Beijing JingWen International University (京文国际学院) and worked for many years as a full time high school teacher in China. 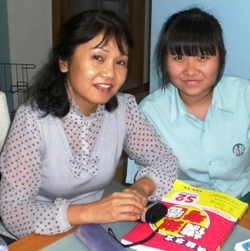 Since her relocation to Singapore in 2006, Zhang Li has been working as a professional Chinese tutor. She is especially familiar with the special requirements of Integrated Programs (IP) and International Baccalaureate (IB) schools, such as Rosyth, Raffles, Nanyang, ACS and many more. Her students consistently achieve outstanding academic results in PSLE, GCE O-level, A-level and IB Exams. Her greatest joy is to see students attaining outstanding achievements in Chinese language. Zhang Li’s family is deeply rooted in Singapore, especially after her son’s completion of Singapore National Service. Zhang Li enjoys reading Chinese literature and Classics. In her Christian circle, she maintains good connection with Christians from China, Singapore and Malaysia. She believes that in whatever little way she can contribute to the Chinese around her, be the person her student or friend. She is living up to the Chinese she learns and teaches.